Garlic has been long considered an essential for any herbal list. Many cultures around the world value this herb as an effective treatment for worms and infections. It's often used in body cleansing programs. In recent years, due to many clinical trials and positive results, practitioners have begun recognizing it as a natural blood thinner. Garlic helps to lower hypertension and cholesterol levels. It discourages platelets from sticking together and promotes free and easy blood flow. 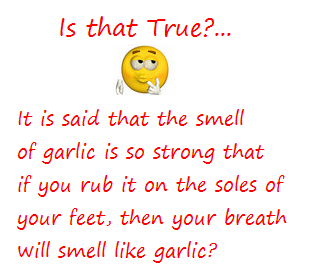 Garlic contains an antimicrobial called allicin. It promotes anti-fungal activity and aids in preventing yeast overgrowth (candida). This herb is also effective for preventing and treating flu and cold. Garlic is one of the most popular herbal supplements because it is readily available, inexpensive, and effective. Like garlic, ginger crosses many barriers and has been used for centuries to aid in various ailments. Ginger has a reputation as a healing herb for digestive problems by aiding in the proper absorption of food, which can eliminate or reduce gas and bloating. It is also commonly recommended by practitioners for circulatory problems. Ginger is famous for its abilities to control nausea, cramping, and motion sickness in most people and morning sickness in pregnant women. It is included in some laxative formulas to prevent bowel cramping. It is suggested that if ginger is taken during the early stages of a cold or flu, it will cause sweating and promote the body's process of eliminating disease-causing agents and waste. Ginkgo contains many antioxidant properties and has a good record of accomplishments. The use of ginkgo has been proven to benefit cardiovascular health. It improves circulation and protects blood vessels. Ginkgo is one of the most recommended herbs for that benefit. Ginkgo is widely recognized for its balancing act. It levels out whatever is going on in your system. It you are restless and stressed, it can relax you, but if you are feeling fatigue, it can energize you. Ginkgo helps restore proper oxygen flow to all parts of the body, especially the brain. When the brain has more oxygen, it is able to "think" better, allowing for improved focus and function; if the brain is better, then other body functions are better. Increased circulation and oxygen flow is important to maintaining energy levels and in getting the full benefits from the foods we eat and supplements we take. This herb also benefits allergies and asthma. It has 17 known natural anti-inflammatory and antihistamine components. Ginseng is one of the best known herbs due to its restorative effects. It has a long history as a cure-all in the herbal medicine world. Ginseng is widely recognized for its abilities to relieve exhaustion, fatigue, and stress. Herbal practitioners may also recommend ginseng to improve lung function and to improve stomach and digestion problems. There are two main types of ginseng: Red Chinese Ginseng and American Ginseng. Red Chinese ginseng is added to herbal sports and energy drinks. This type of ginseng is popular for increasing energy levels, sexual desire (particularly in elderly people), and hormone production. American ginseng is popular among people wanting to take a ginseng supplement long-term. It benefits fatigue, depression, and circulation. Due to its benefits and effectiveness, ginseng is often found in mass produced energy drinks sold in stores. This form of ginseng is usually highly diluted and will not offer the medical benefits of an organic ginseng supplement. Ginseng is best taken as a supplement or added to tea. Golden Seal is used as an antibacterial and disinfectant. It contains an antibacterial chemical called berberine. This herb soothes infections, lowers inflammation, and cleanses the blood. Golden Seal is often thought of as an immune booster and cold and flu fighter. Herbalists commonly recommend this herb to treat colds and flu viruses, stomach problems, and sinus and bladder infections. This herb can be used externally as an eye wash for those suffering from pink-eye and as a treatment for vaginal infections. Golden seal is not for long-term use. It is usually not used for longer than 10 days at a time. Always follow the dose recommendations and the recommendations of your practitioner. Grapefruit is not only great for breakfast or in juice, but the extracts from the seeds can be helpful in fighting both bacterial and parasitic infections. Some people take grapefruit because it has a cleansing effect and is useful in reducing obesity. Internally, Grapefruit acts as a catalyst, and stimulates the metabolism of fats and promotes the elimination of waste. It also acts as a natural diuretic and reduces water retention. Grapefruit can increase circulation which improves body functions. 5) Rinse then shower as usual. Tip For a more relaxing scrub, use Epsom salt instead of sugar. Tip) For a more moisturizing scrub, add a tablespoon or two of olive oil or jojoba oil. Many of the health benefits of green tea concentrate on its effect on weight. There are several studies to prove that green tea promotes fat-burning and boots the metabolism. It also promotes the elimination of waste and reduces water retention. Although green tea is not the easy button to weight loss, it can help you shed fat in those stubborn areas like around the belly. With all the focus on the benefits of green tea and weight loss, it is often forgotten that green tea is a powerful antioxidant. It has numerous benefits that include lowering bad cholesterol levels, and inhibiting the formation of blood clots that can cause heart attacks and strokes. In more recent news, the antioxidants in green tea may even inhibit cancer and tumor formation. Hawthorn directly effects heart health. This herb increases the blood flow to heart muscle cells. Hawthorn has been used for years and remains one of the most valued herbal supplements for the heart. It is used to treat various heart conditions including irregular heartbeats. Hawthorn improves the cardiovascular system by improving oxygen levels and energy metabolism in the heart. It decreases lactic acid, which can cause pain in the heart muscles. It helps the heart function more easily and can restore normal blood pressure. Other uses of hawthorn include benefiting the nervous system, treating insomnia, and digestion problems. Hawthorn is safe for long-term use and must be taken for a period of several months to be effective. Hibiscus plants are high in vitamin C. This supplement is a natural antioxidant and gentle diuretic and laxative. Many herbalist recommend hibiscus teas to those that are at risk of having high blood pressure. Hibiscus also contains a compound called hydroxycitric acid or hydroxycut for short. It is often used in many diet formulas and is a safe way to shed a few pounds. Horse Chestnut contains substances that can benefit the veins and help the body heal injuries such as inflamed and sore muscles. It is a popular recommendation to athletes because it benefits several sports related injuries. Horse chestnut is a restorative agent for veins and protecting blood vessels. It increases blood flow and strengthens veins making it a popular herbal treatment for vein problems such as weak veins and varicose veins.